He said: �Nobody has won and nobody has lost the elections. But Rivers State has won. �We have come here to give God thanks because he is so faithful to us. We have come to thank God for the fight he fought on our behalf. �It is only God who can fight for us. We have no power of our own to fight,� he said. Speaking at the Thanksgiving Service, Ibiyeomie prayed God to accept the governor�s thanksgiving and bless him. He decreed God�s wisdom on Governor Wike, praying that God grants him the enablement to lead the State in the right direction. 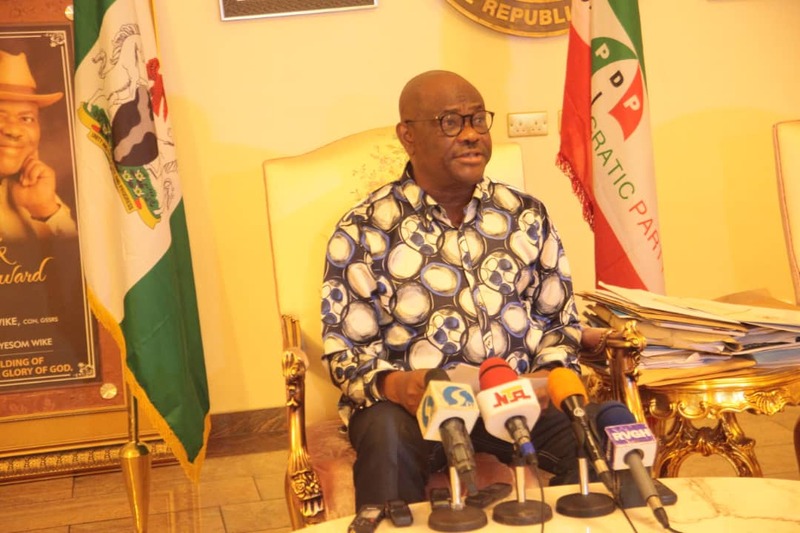 While praying for God�s blessing on Governor Wike, Pastor Ibiyeomie said anyone planning evil against the Rivers State Governor will fall pray to his/her evil machinations.